Joya de Nicaragua Cinco Decada - Buy Premium Cigars Online From 2 Guys Cigars . 50 Years ago, Joya de Nicaragua pioneered an industry by crafting the first cigars to ever come out of Nicaragua. Today, they are one of the most globally recognized brands to come out of the country. The most memorable of celebrations always require that you rise to the occasion. Cinco Décadas helps you do exactly that. Perfectly constructed and made with an exclusive collection of tobaccos, the fact that you have one in your humidor, is enough to begin the celebration. 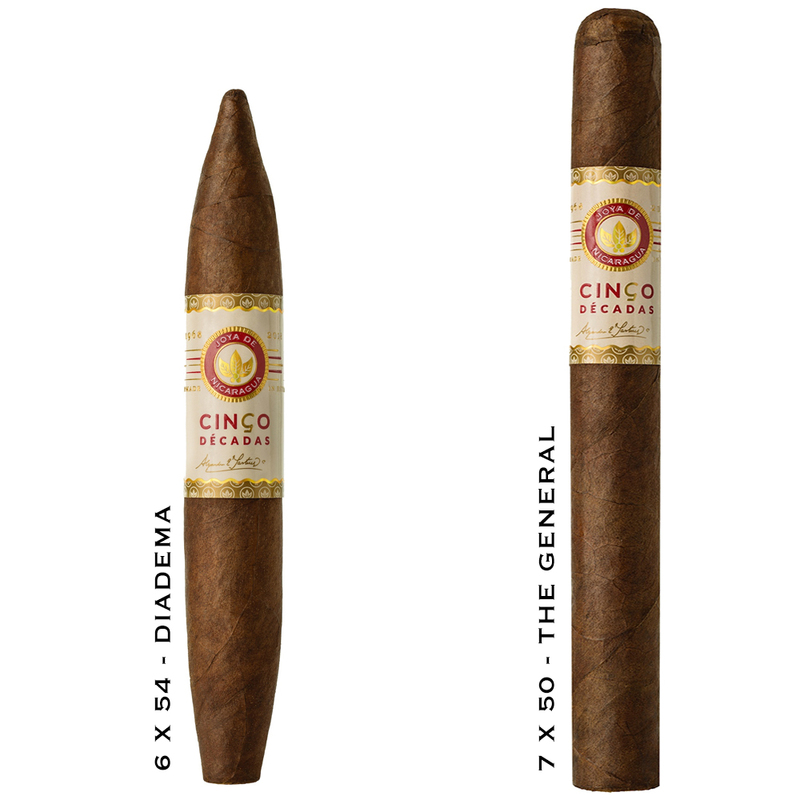 Featuring a top secret blend Cinco Decadas is a cigar of luxurious complexity with sweet and spicy flavors. It's a silky smooth smoke that delivers a rich and fulfilling experience.